i have seen many readers asking me for this topic.today i want to discuss this option in gmail. 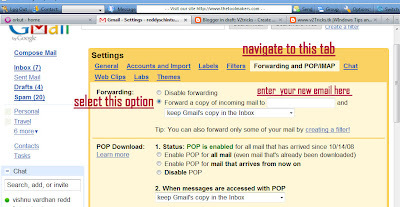 unfortunately forwarding is as simple as inserting a disk in your dvd drive.why am saying this is forwarding your mails from one account to another account looks like a big task but while working for it it seemed to be simplest task in gmail. 5)that's it all your old account emails can be transferred to your new or desired account. 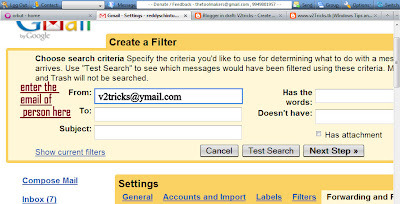 4)that's it all mails from v2tricksz@ymail.com reach to your new / desired gmail account.